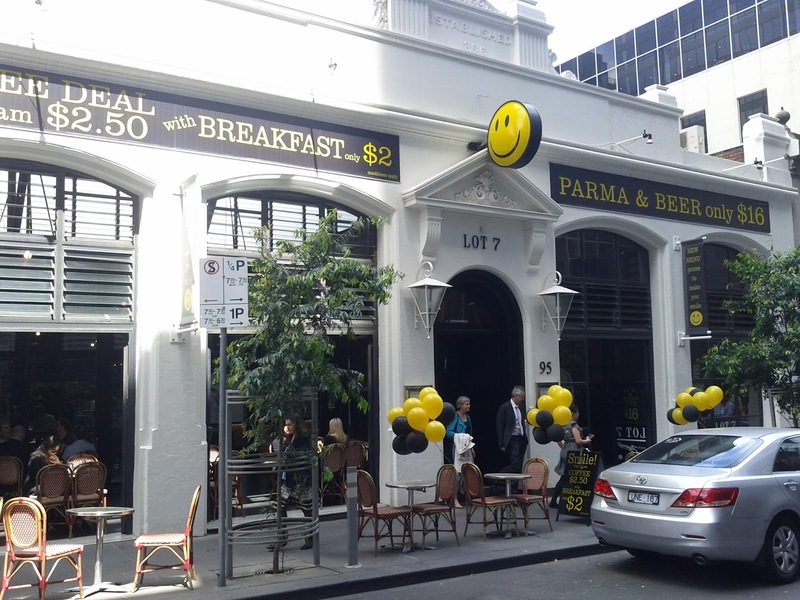 You can't miss Lot 7 while strolling down Flinders Lane between Exhibition and Russell, with the large smiley sign augmented with yellow and black balloons on the Thursday lunch time we visited. Phil had suggested a visit after reading about Lot 7, and their lunch specials. 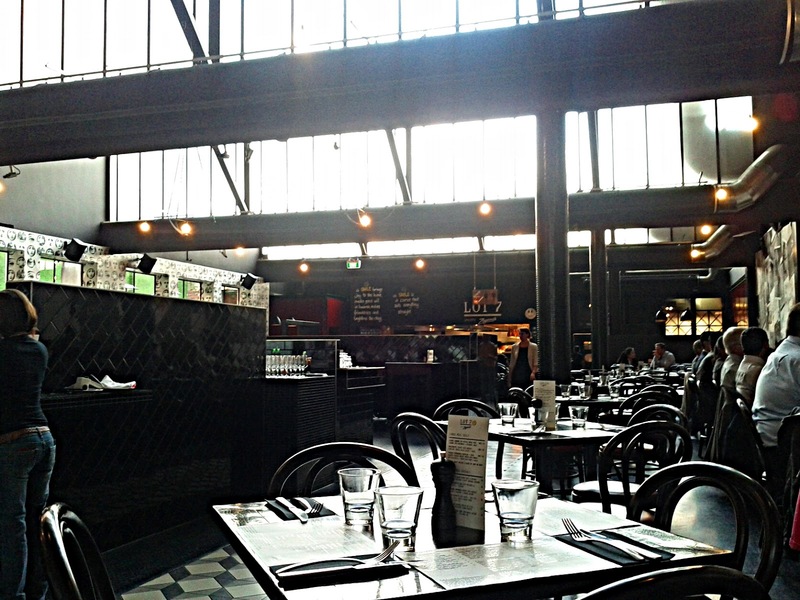 The interior is large and feels spacious with the light flooding in through the industrial style roof. It were quite a few other diners around, including a couple of big groups, but it still felt like we had enough space. 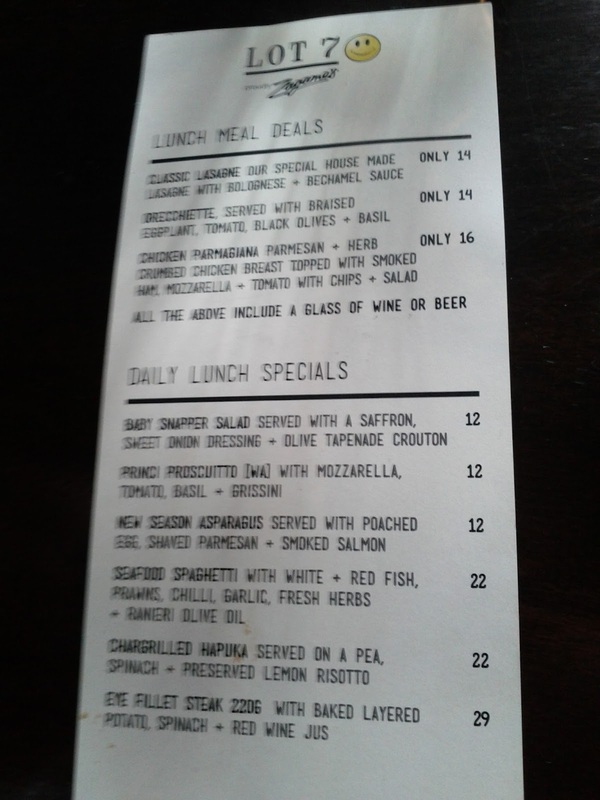 We got a larger general menu, but both homed in on the smaller lunch specials flier. 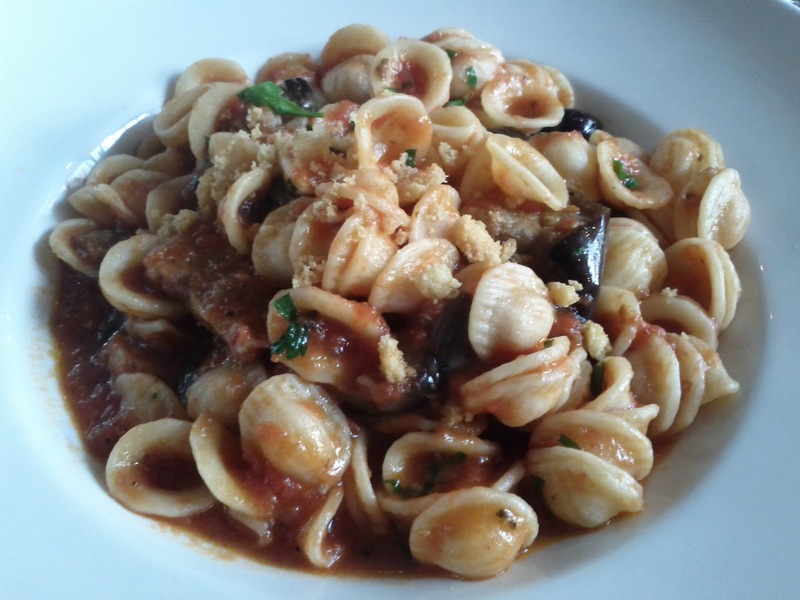 I had the Orecchiette and the hearty pasta shapes were accompanied with eggplant, tomato, olives and basil to produce a great dish. I don't often have pasta when out, as I often have it at home, but this hit the spot. 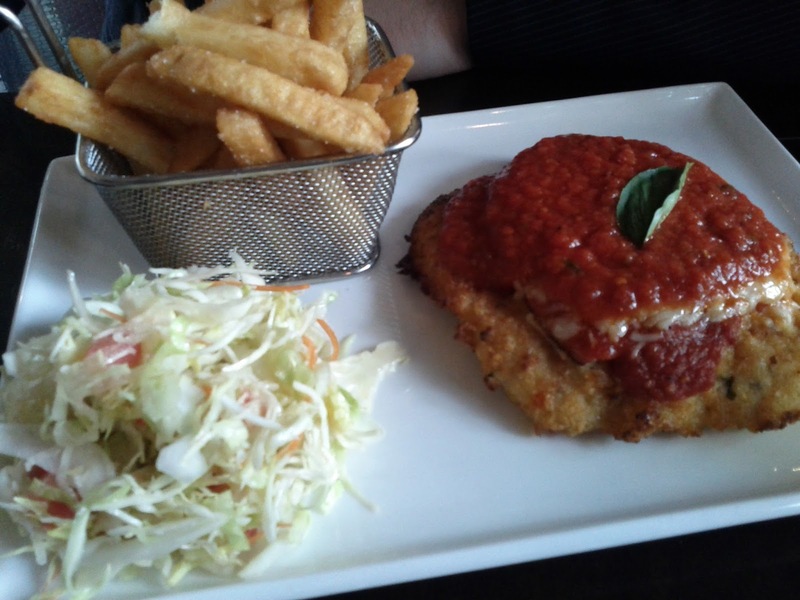 Phil had the parma which came with chips in a deep fryer basket and coleslaw. Unusually the chicken breast was from a normal sized chicken rather than some sort giant/mutant and the tomato sauce appeared fresh and came with the addition of a basil leaf. He certainly seemed happy with the meal.